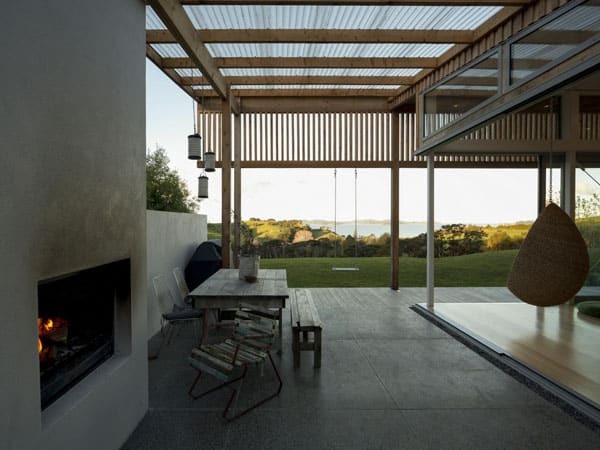 The Brick Bay House has been designed by Glamuzina Paterson Architects, situated in Snells Beach, Warkworth, a small coastal town in the north of Auckland Region in the North Island of New Zealand. 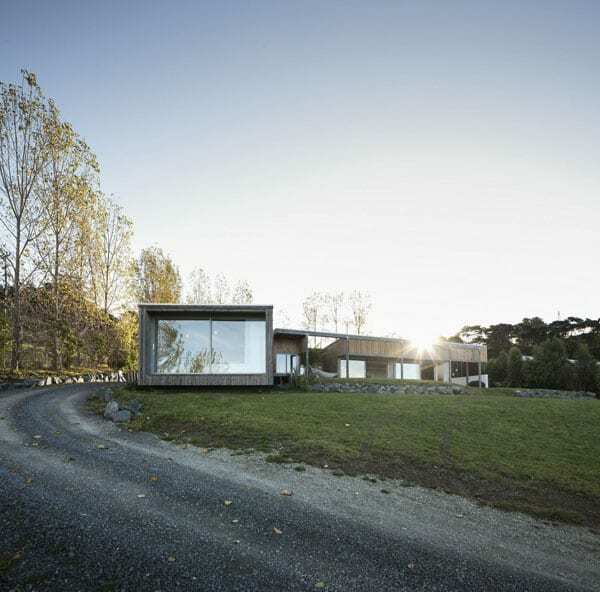 The dwelling is an enquiry into where a site begins and ends; how to define the edges of the project; and the way landscape may be inhabited. 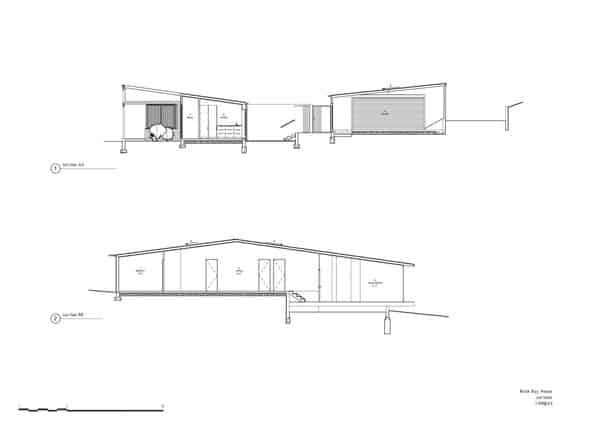 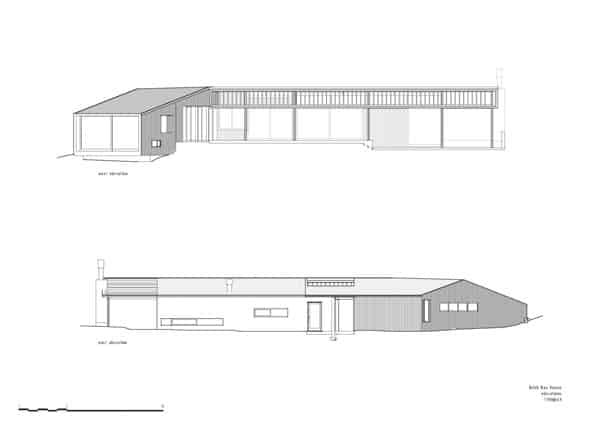 Firmly dug into the earth and composed as a simple L plan, its low form recollects modest farming buildings and the idea of an ‘Elegant Shed’. 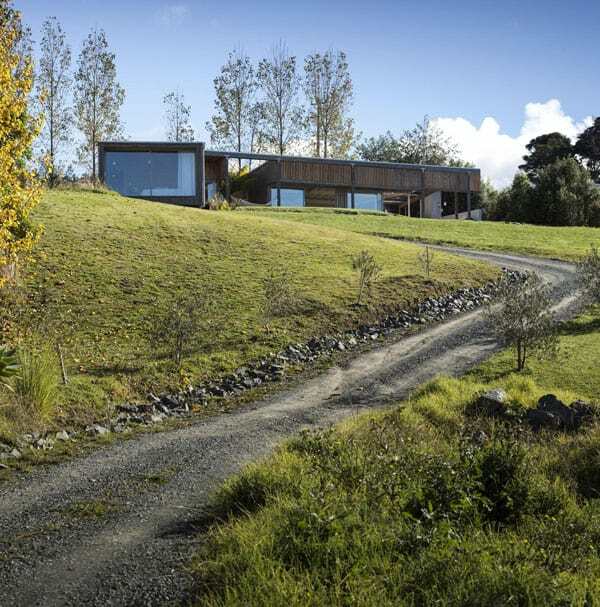 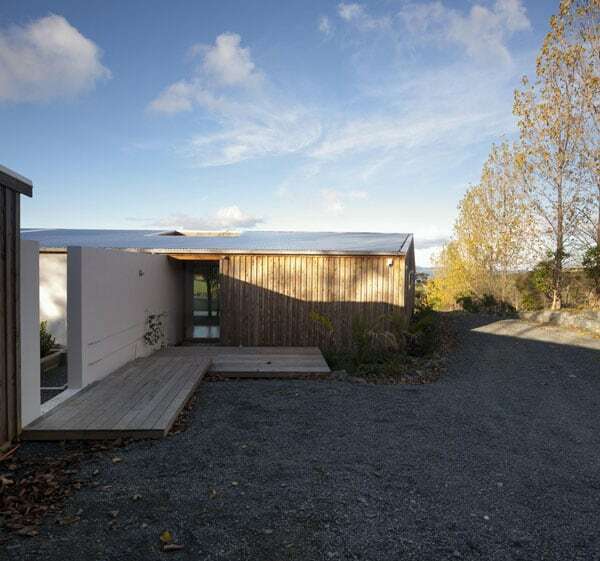 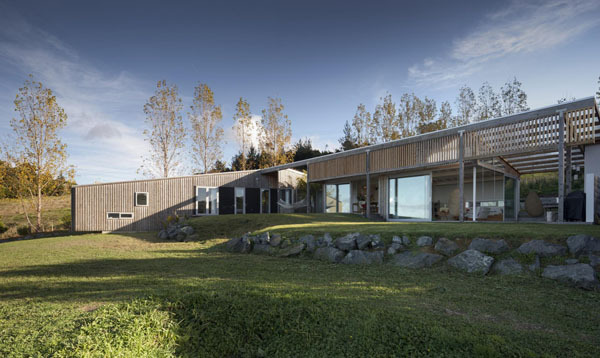 The house was designed for a family of five, with the clients wanting a house that responded to the contours of the land with a relaxed sense of connection to the rural surroundings. 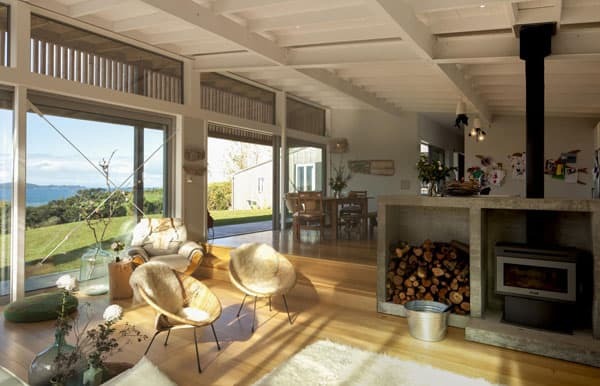 The house is located on the road to Snell’s Beach on a 4 ha section, that’s steeply rises to the west with views to Kawau Bay and a main road along the south western boundary. 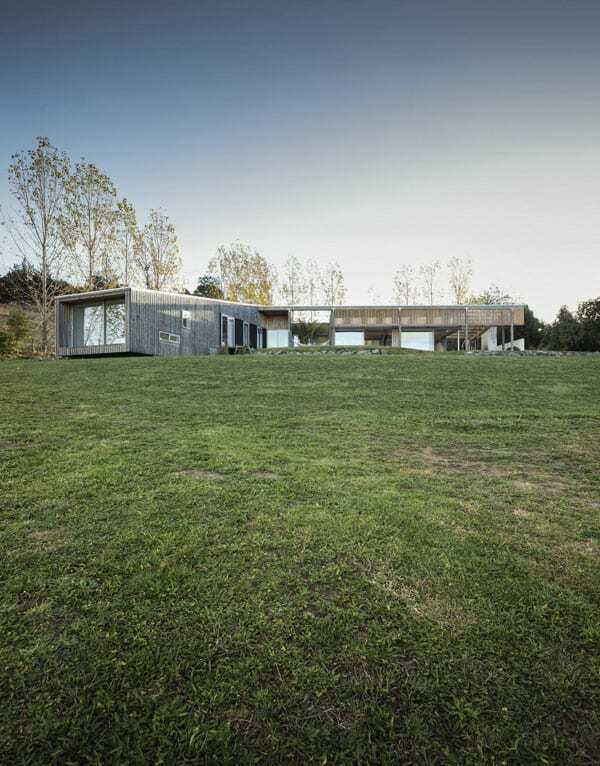 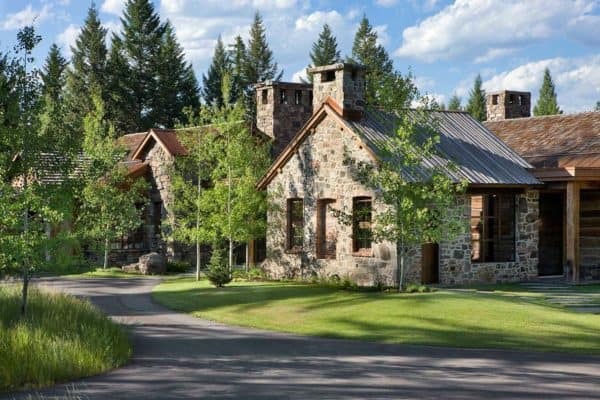 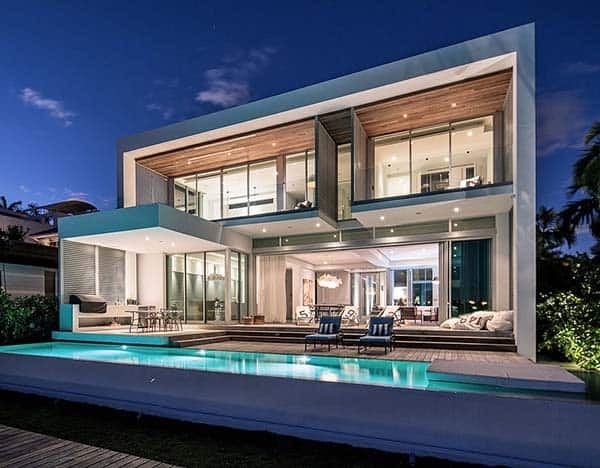 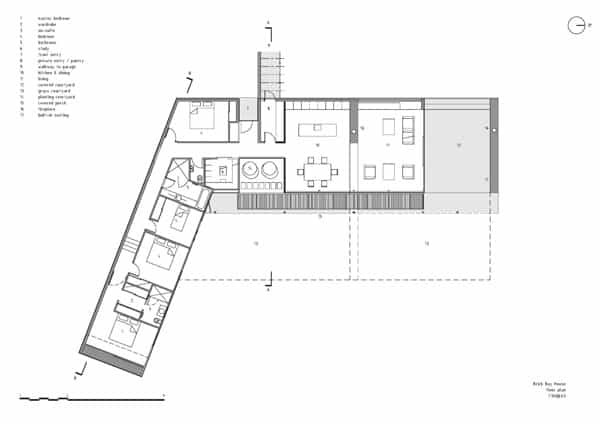 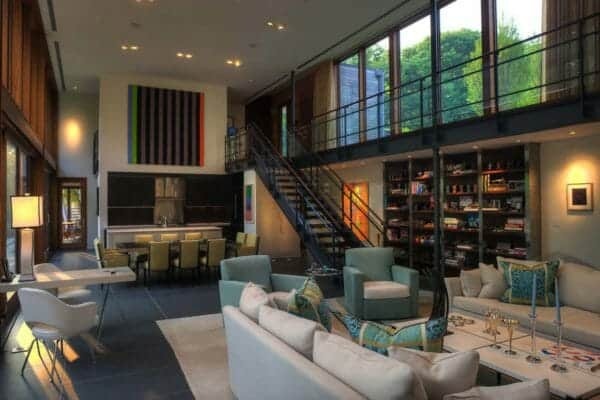 The house negotiates the contours of the site with the private areas staggering down the hill to the south, creating a courtyard, and providing protection. 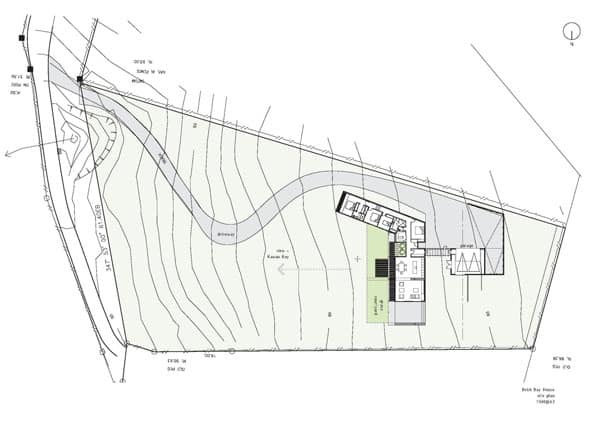 The L plan forms a barrier to the road above on the south west boundary, blocking noise and giving privacy. 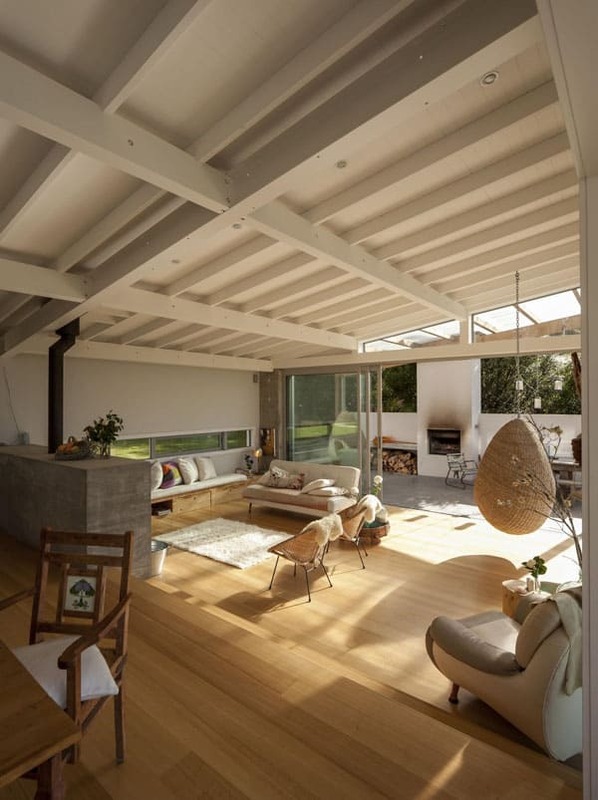 The north deck opens to the east and west allowing afternoon sun to penetrate the living areas. 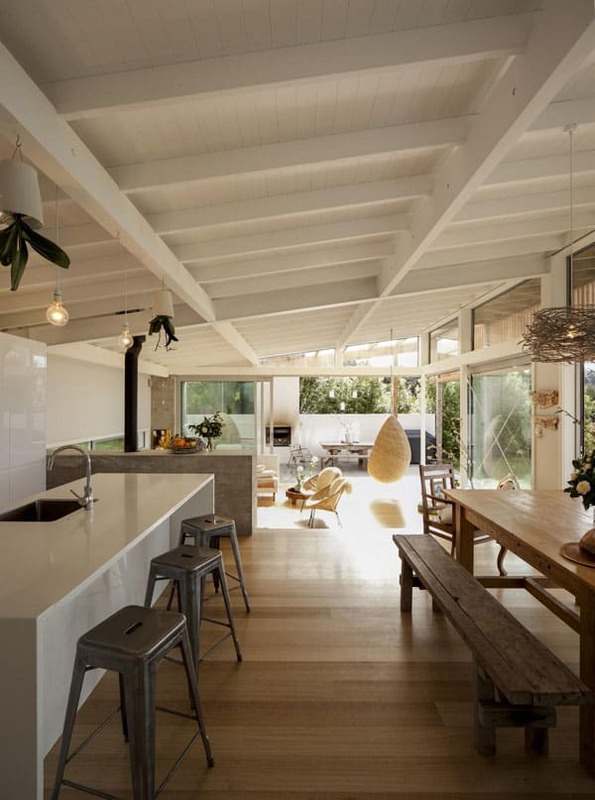 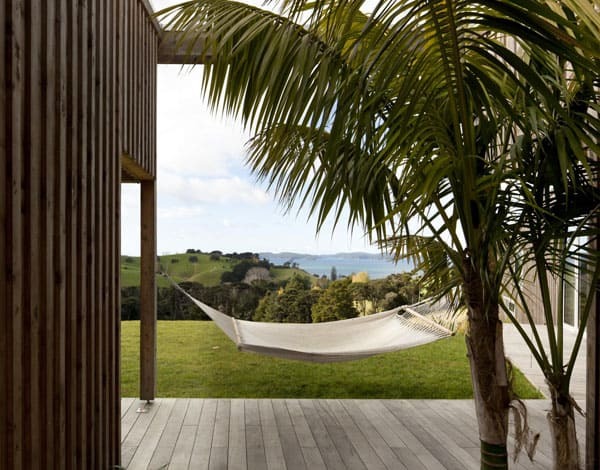 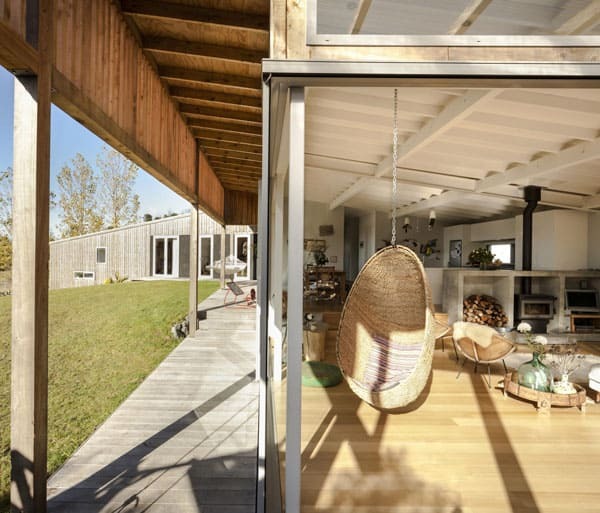 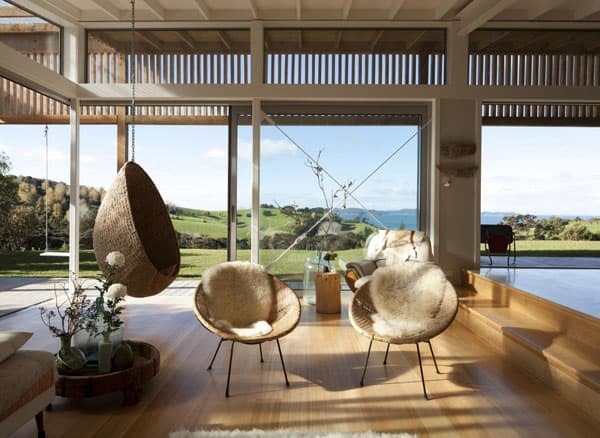 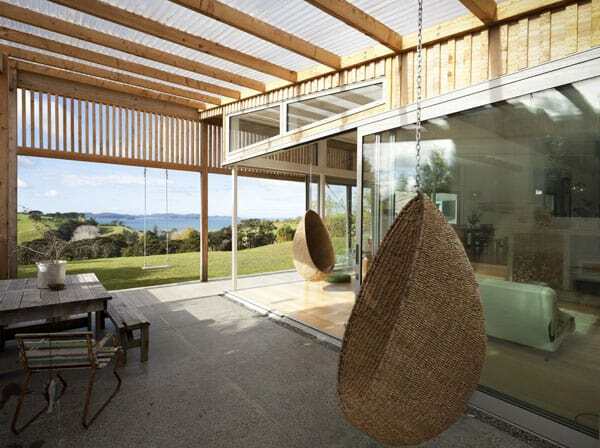 The open plan living areas under the gable roof have porch enclosures to north and east that frame views to Kawau Bay. 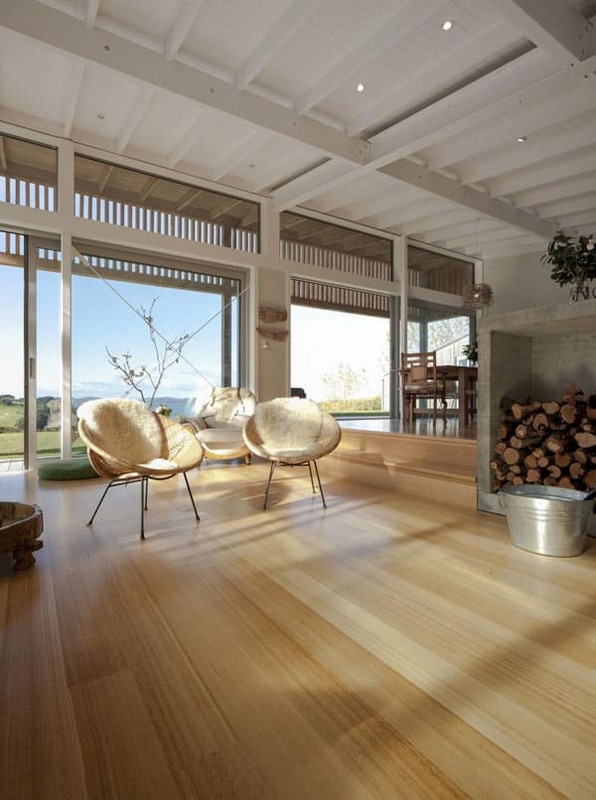 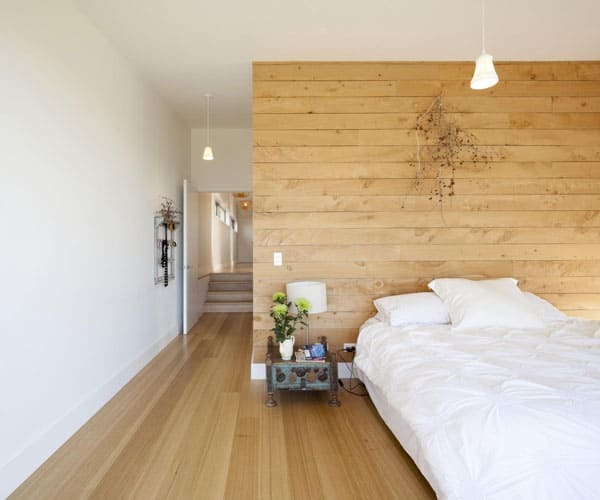 The facade of Macrocarpa board and batten wraps the house with a beautifully textured grain that gives a natural warmth to the facade, registering time as its color changes. 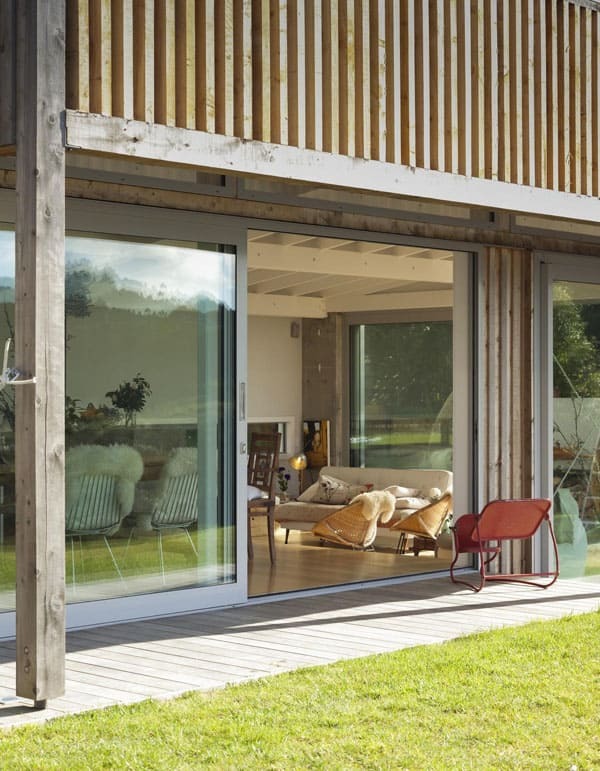 The louvered frame to the walkway gallery provides shade in the summer and protection in the winter. 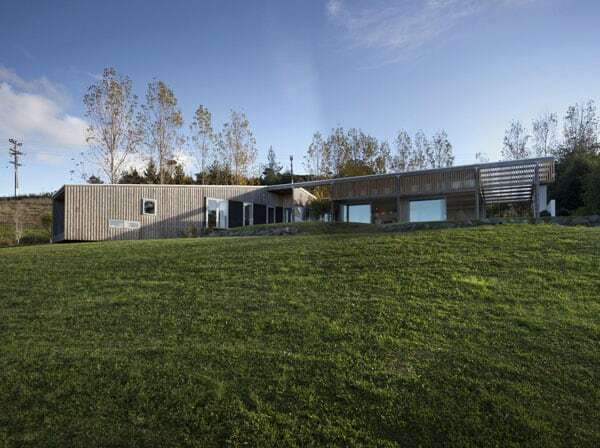 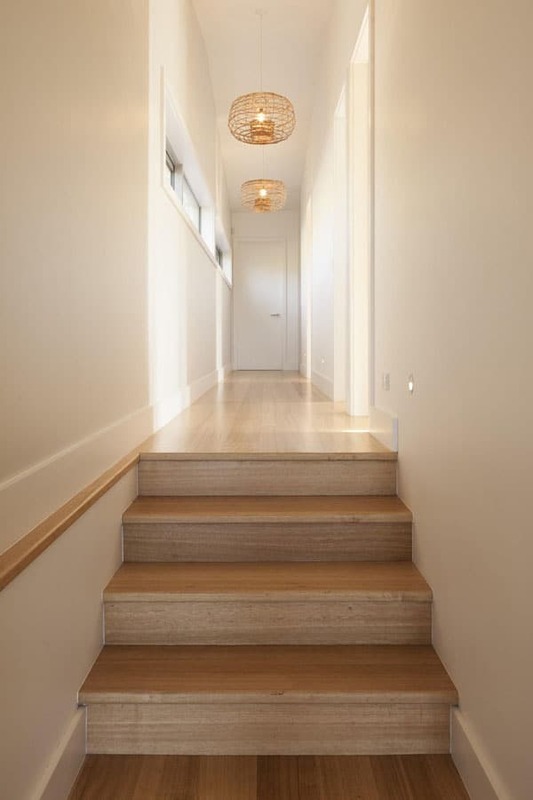 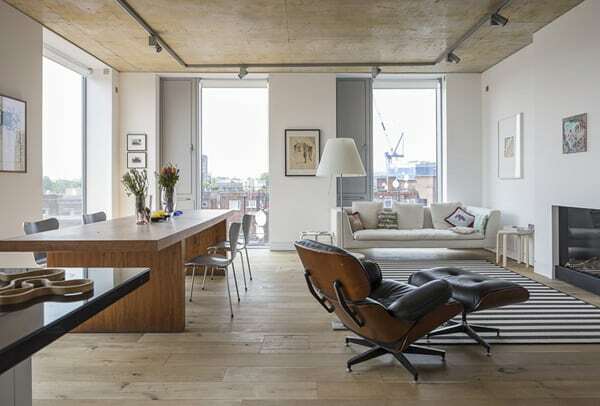 The environmental benefits of timber was vital to the project, with timber being locally sourced and milled in small runs from Riverhead shelterbelt trees. 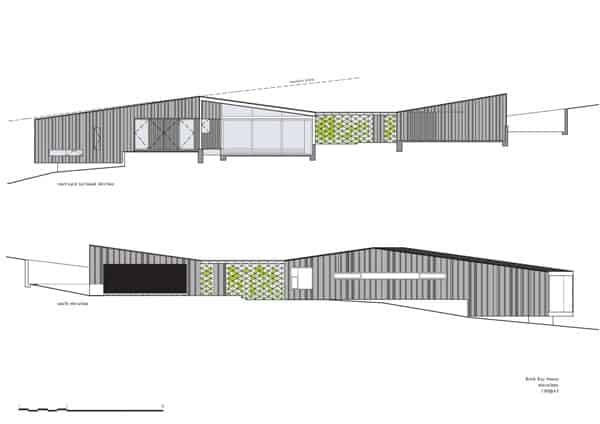 Waste was dealt with on site with sawdust used for the garden and farm, and off-cuts for firewood and furniture.